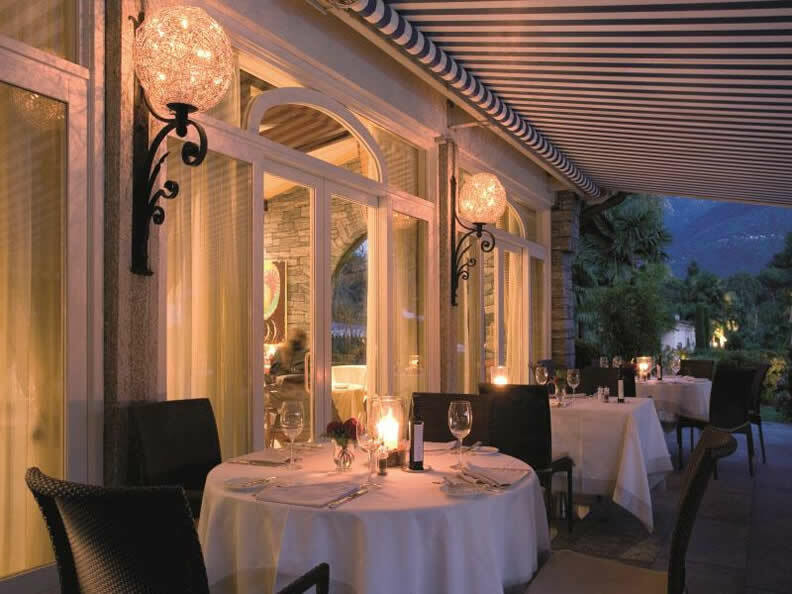 Jean-Pierre’s restaurant, the style of a unique and traditional taste experience. 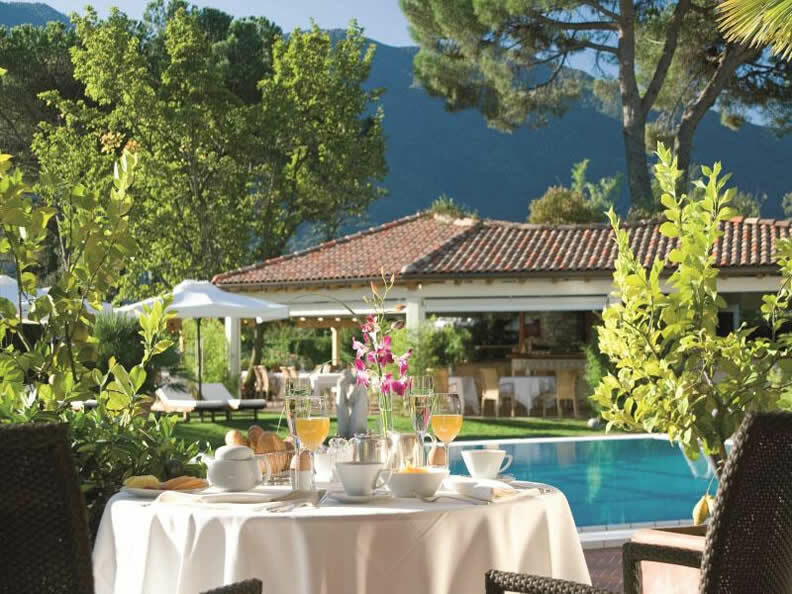 For Jean-Pierre, haute cuisine, above all, is exquisiteness, care and well-being. 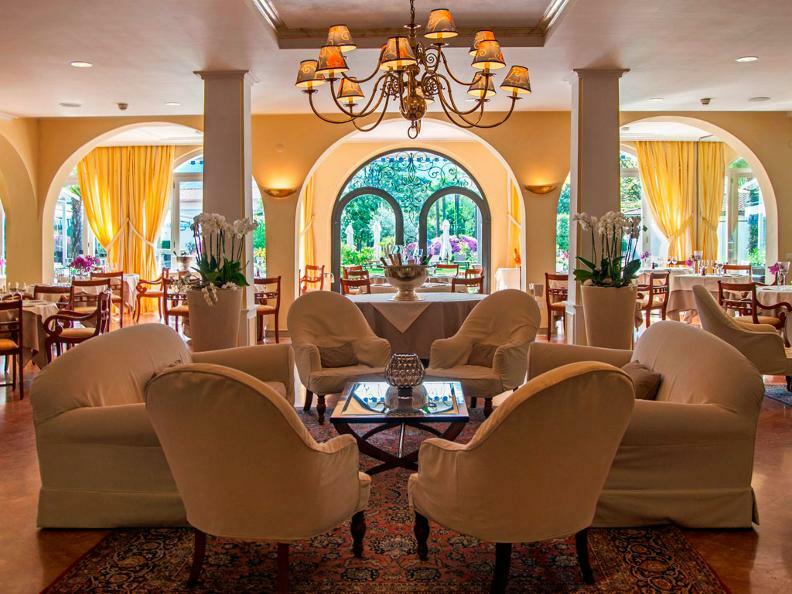 Every day, by means of carefully selected ingredients combined with creativity, Jean-Pierre spoils his guests’ palate with the pleasure of fine food. 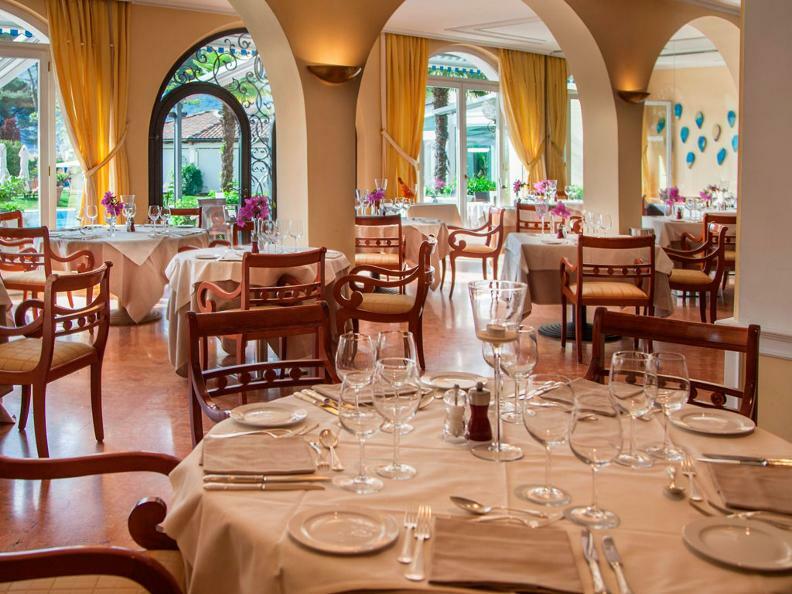 Meat specialties, grilled fish, main courses, risottos and traditionally Mediterranean appetizers complete Jean-Pierre’s flavorful selection. In order to meet all demands in a manner of style and particularity (? 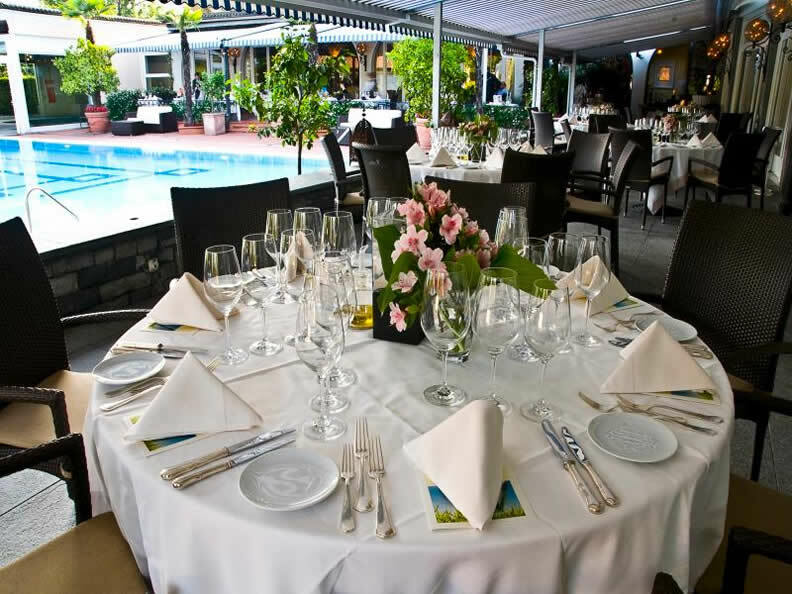 ), the various locations offer everything you could desire for any occasion. 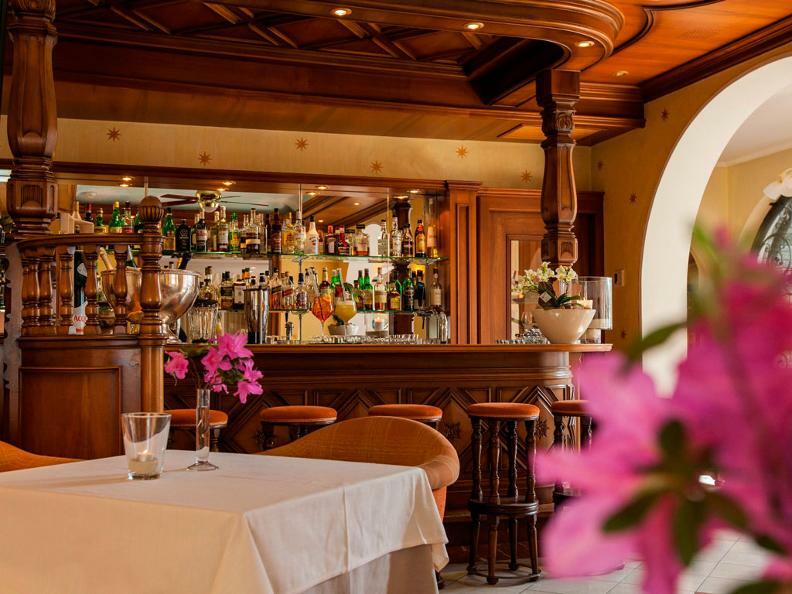 In winter, Jean-Pierre’s restaurant will accommodate you in the splendid, warm and elegant hall, lights dimmed, offering the pleasure of eating by candlelight even at the bar. The restaurant saloon (hall?) 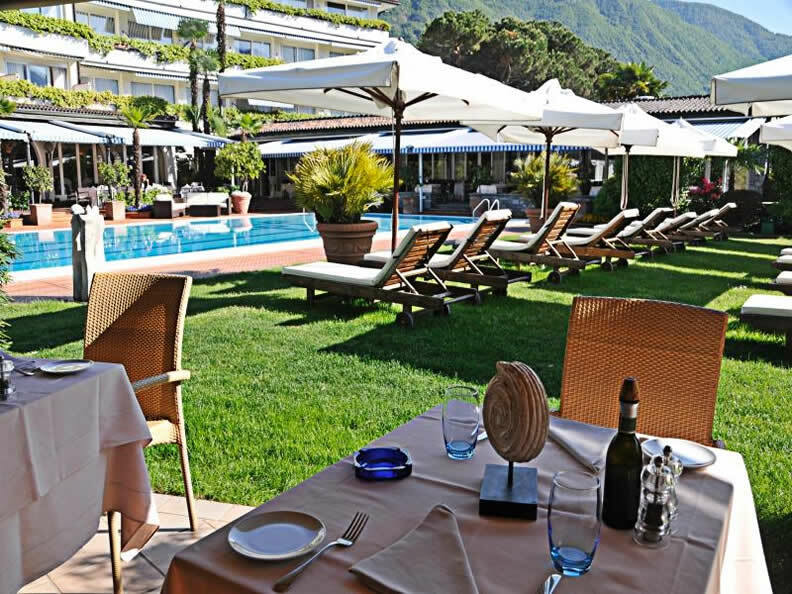 with cobblestone from Ticino, warm walls and a view to the garden and pool is available for private or business dinners, parties or events. 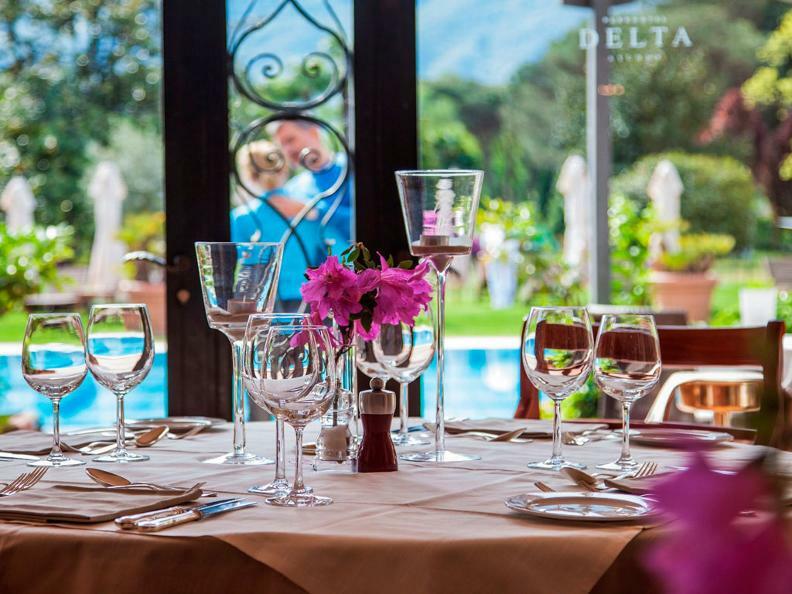 In summer, colors on the patio out in the open for dinner or at the Delta Blu, the ideal place for lunch, a snack or an “aperitivo”. 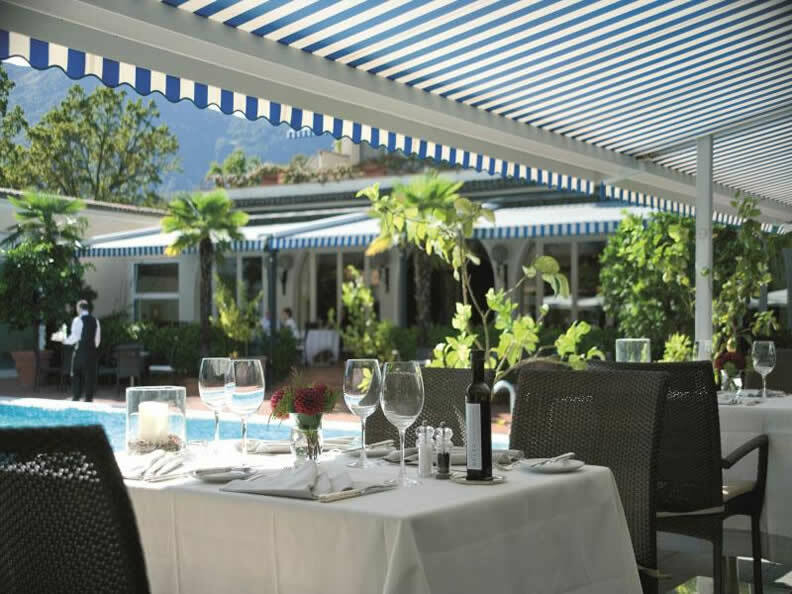 Always in a relaxed and friendly atmosphere with a view and access to the pool and the splendid garden. 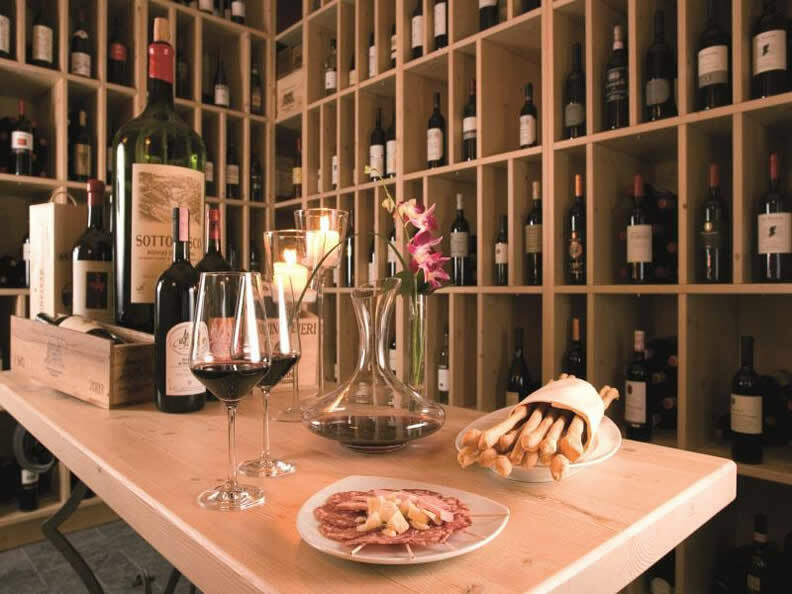 The restaurant is listed in the Michelin Guide and boasts a wine cellar of 200 labels. Menu and playground for our small guests. Free parking and wiFi. If you wish to receive further information on the organization of banquets please do not hesitate to contact us. We are looking forward to hearing from you.